Singer Ruby Rose Fox recently stood outside of the EMF building in Cambridge. CAMBRIDGE — For more than a decade, Brookline Street’s EMF building has thrummed with music, but its status as a creative font for Central Square is up in the air with the eviction of scores of musicians on the horizon. The future of the unassuming brick structure located a few blocks from Massachusetts Avenue is at the heart of a broad and pitched debate about affordable creative space in a city that prides itself on its arts and music scene. Nowadays, the building’s maze of rehearsal rooms is filled with music-making. A guitar noodles from behind a closed door, a muffled bass line emerges from somewhere down the hall. Despite a recent and temporary reprieve from eviction for the musicians who use the building, those sounds may still be silenced. The roughly 200 musicians who utilize the building initially had until the end of the month to get out, according to eviction notices sent to the tenants in late February. But on Friday, they were granted a reprieve until May 31, while Cambridge officials continue talks with the owner, John DiGiovanni, a well-known Harvard Square property manager, about the building’s future. “Although the future of the EMF building has not been decided, we have all agreed to continue conversations,” Mayor Marc McGovern said in a statement. DiGiovanni declined to comment on the ongoing talks. EMF - short for Electrical Motor Frequency -- once was used to store and sell electrical supplies. It now has about 60 rehearsal spaces and three recording studios, according to William Desmond, a former building manager. For those who view EMF as their creative home, the prospective exodus is devastating. Nilles, who sings and plays keyboard in the alternative rock outfit Miele, said she was unsure where the band would move to next; she said she is considering practicing in a church. DiGiovanni, who bought the property for $4 million in 2016, said he plans a “wholesale renovation, “ and has no plans to demolish it. DiGiovanni serves as president of the Harvard Square Business Association. His company, Trinity Property Management, owns and manages several well-known commercial buildings in the city, including ones that house the music venue The Sinclair and the Harvard Square Newbury Comics. The company also owns the Harvard Square parking garage. And while he has not yet hammered out a plan for the building’s future, “some work space is likely,” he said. The band Instant Shawarma are among those leaving EMF. Some of EMF’s musicians, meanwhile, are bracing to be uprooted. 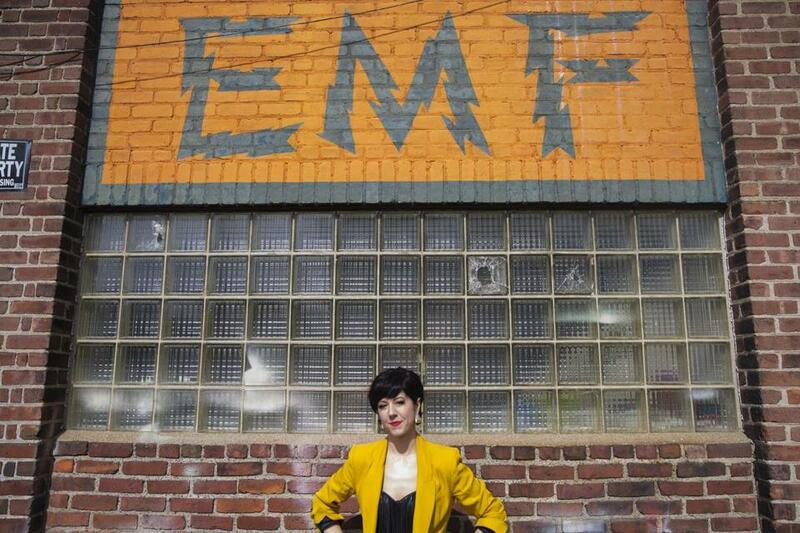 Anna Rae, a 35-year-old singer and bassist in the pop rock band Hemway, said EMF is its own creative ecosystem; it has been the place where you could find someone to do your album art, print your band’s T-shirts, or take professional photos. Part of the reason she moved to Central was to be close to the space, she said. The rent for Rae’s EMF space is $525 a month, a cost that is split between two bands, she said. “I’m enraged because it’s really gross to be yanked around by people who have a lot of means,” said Rae. If EMF closes, musicians in the area will face harsh realities, she said. Her own band is on long waiting lists for rehearsal space at three other buildings in the area. “You can’t even begin if you don’t have a place to rehearse,” she said. For his part, DiGiovianni disagrees with the assertion that he is draining a creative and economic lifeforce from the square. “I think musicians and artists of all types are important to the city of Cambridge, and that’s a much bigger question than one building,” he said. 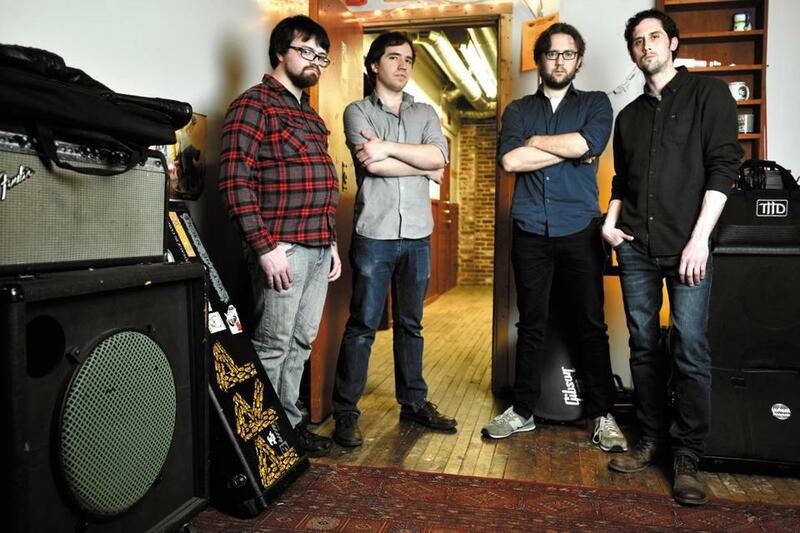 DiGiovianni also noted that there are other rehearsal spaces in Greater Boston. EMF’s building manager, Bob Logan, is looking to open 50 of 200 planned rooms at SUM Studios in Malden in June; DiGiovianni has said he has no ownership stake in that operation. Logan said his new business is offering to help displaced EMF tenants with moving and storage through May. And Desmond, who formerly managed the EMF space, now runs two Sound Museum locations in Brighton. Desmond left EMF more than a year ago, after DiGiovanni bought the building. Desmond declined to comment on his departure. He acknowledged that band space is often at a premium at his Brighton locations; he said there is often a waiting list. The outrage over EMF’s possible closure as an arts space has caught the attention of City Hall. The city council has asked the city manager to explore buying the building from DiGiovianni. Additionally, the city council has broached the possibility of finding other spaces for the EMF artists who are being evicted, while a city council committee is studying the idea of having an artists overlay zoning district in Central Square that would reward developers who build and maintain artistic spaces. “As the rents go up and the property owners see opportunities to make more and more money they start chasing more dollars . . . and people who aren’t able to pay big rents are pushed out of the way,” he said. Musician Ruby Rose Fox sat in her rehearsal space at EMF in Cambridge recently. 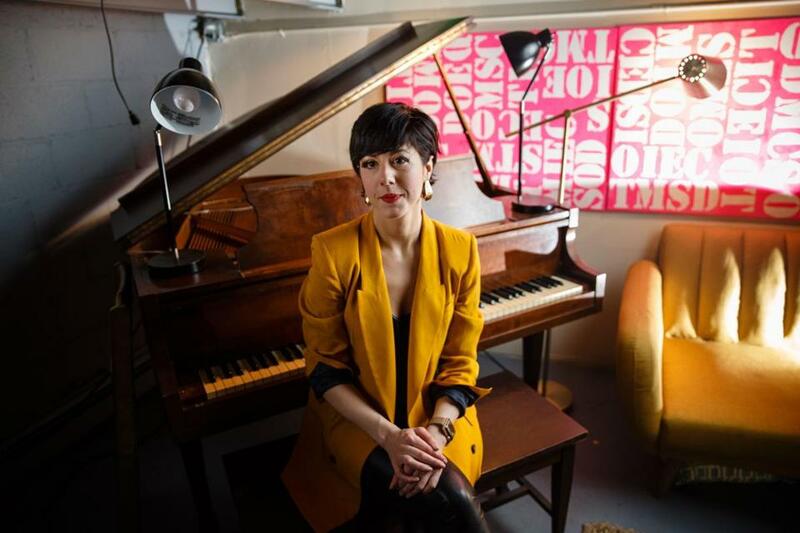 Ruby Rose Fox, a 34-year-old singer with five Boston Music Awards to her name, has rented space in the building since 2011. Fox most recently paid $660 per month for EMF space. She has been frustrated by the ongoing eviction process. In January, she spent about $2,000 to have a family piano moved from New Jersey and set up in her rehearsal space. She wouldn’t have dropped that cash if she had been given more notice of the plans for the building, she said. “I was told ‘The building will be here longer than you want to be here,’” said Fox, who lives in Jamaica Plain. Fox remains hopeful the EMF building will continue to be used as creative space, but as of now, she is moving to a rehearsal space in Brighton. Leaving EMF is emotional, she said. “I literally cried for an entire day,” she said. Andy Constantine, a 28-year-old who plays guitar in the rock band Instant Shawarma, thought EMF’s potential closure could mean bands will play out less in Cambridge, particularly in Central Square. Constantine’s band paid a little more than $180 a month at EMF and will pay $250 for less space at their new rehearsal room in Brighton. Standing in a rehearsal room a few days before his band planned to move their equipment out, he said they used to roll their equipment from EMF down the bicycle lane of Brookline Street to play gigs at The Middle East, located just a few blocks away.